Chinese Fortune: What Are Your Lucky and Unlucky Years? How Lucky Will You Be This Year? 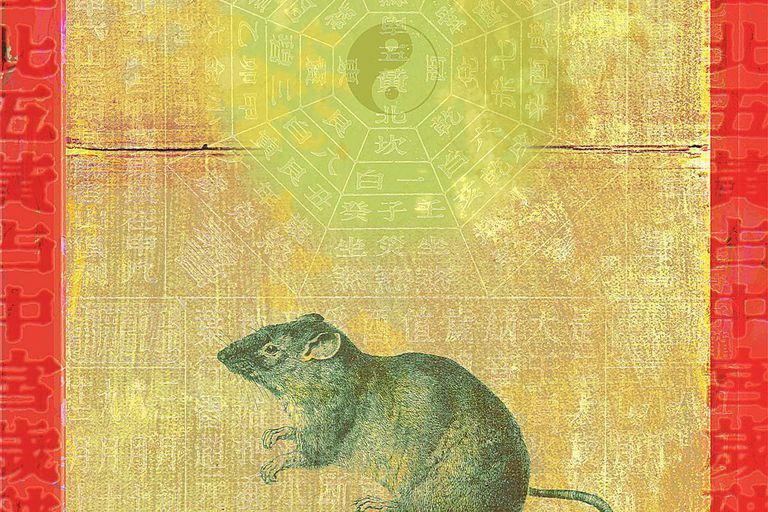 What does Chinese astrology predict for your future? Chinese fortune telling is an ancient tradition that has its basis in the fundamental paradox in Chinese philosophy: yin and yang. According to the classic Chinese book the I Ching, the main principle of the universe is change, and the way that change occurs is through the interaction of two opposite but complementary forces of nature, yin with the attributes of yielding and submission (associated with cold, feminine, and light), and yang representing unyielding and dominance (hot, male, dark). You can't have one without the other. In ancient Chinese tradition, the amount of good and bad luck that you can expect in a given year depends in part on whether your personality is driven more by yin (cold) or yang (hot). In general, people born in the winter have a yin-dominant nature; people born during the summer months are dominated by yang. Your general luckiness in a given year is also based on what year you were born in according to the Chinese zodiac. The Chinese zodiac has a 12-year cycle, each year in the cycle is assigned to one of 12 animals (rat, ox, tiger and so forth). The Chinese zodiac year begins on a different day each year, and never on January 1. You have a major yang nature if you are born in the summer, between May 5 and August 8. You have a minor yang nature if you are born in the spring, between March 5 and May 6. This is also called being a neutral person of yang nature. In general, this is how a yang-dominated person can expect their luck to behave in each of the Chinese zodiac years. You have a major yin nature if you are born in the winter, between November 7 and March 6. You have a minor yin nature if you are born in the autumn, between August 7 and November 8. This is also called being a neutral person of yin nature. Here is how you can expect a yin-dominated person's luck to run in each of the Chinese zodiac years. A feng shui expert can identify how to change your environment to improve your luck by understanding these fundamental rules associated with your Chinese zodiac sign. That's why feng shui experts need to know your sign and birth date before they get started. For a more detailed version of what your personal fortune would be like under the Chinese traditional astrological system, you can consult a Chinese almanac (Tung Shing) or a fortune teller. For a session with a fortune teller, you will need your name, birth date, age, and time of birth. Fortunes should be read for entertainment purposes only. If it seems strange to base your fortune based on things you can't change, think of it this way: Chinese astrology begins its predictions on impartial facts, the year and month of your birth. It is your recognition of how those basic facts determine your nature that allows you to negotiate your future. Of course, modern Chinese culture is not dependent on what lucky year you were born in. But differences between yin and yang exist within yourself, between your friends and family, and even cross-culturally. Those natures are dynamic, and recognizing that people are driven by different natures allows you room to negotiate, compromise, embrace, and transfer information within yourself and between yourself and others. How lucky is that? Fang, Tony. "Yin Yang: A New Perspective on Culture." Management and Organization Review 8.1 (2012): 25-50. Print. Fang, Tony, and Guy Olivier Faure. "Chinese Communication Characteristics: A Yin Yang Perspective." International Journal of Intercultural Relations 35.3 (2011): 320-33. Print. Nakayama, Shigeru. "Characteristics of Chinese Astrology." Isis 57.4 (1966): 442-54. Print. So, Peter. Chinese Almanac 2018 (English Edition). Hong Kong: Wan Li Book Company, Ltd, 2018. Print.